Let's just say today you completed your 500 hour yoga certification. We'll also imagine the cold you thought you were over reared it's ugly head again. You are hungry, you don't feel all that good, you want to celebrate and spend some time with your Tumbleweed. In that case and in this barn we cook together; tonight chili fit the bill. Tumbleweed and I both have our separate views on how things should be made; two separate recipes, but we are good at compromise. We merged two chili recipes in his little blue barn. We hope you will enjoy it as much as we did. Grab your tumbleweed (he can help you chop! ), Maybe pop open a bottle of bubbly and if you want the full effect of the little blue barn turn up any tune by Mos Def. Add olive oil to large chili pot, add onions sauté over medium heat about 5 minutes add garlic, chili powder, Cholula sauce, salt and pepper turn off heat. In a separate cast iron pan (preferably an old one given to you by your grandmother circa WWII) brown the ground beef and sirloin, salt and pepper meat. Then drain fat off meat. 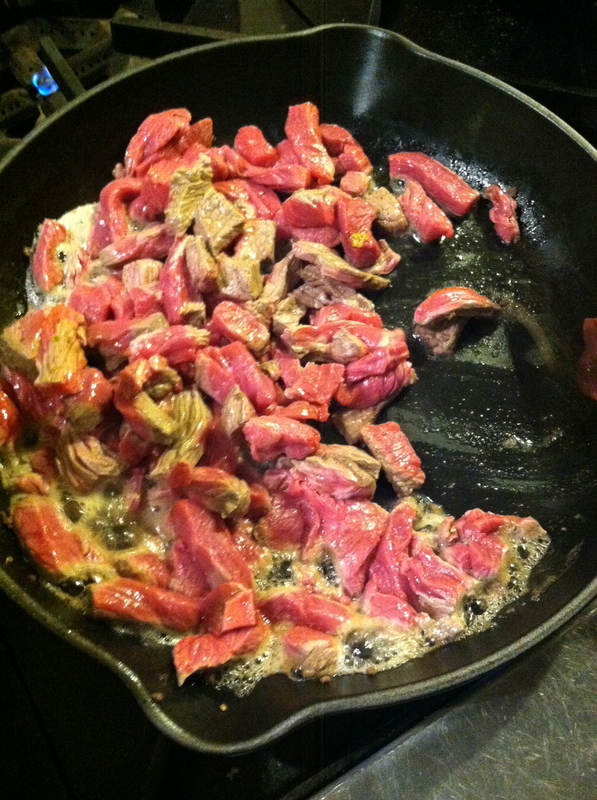 While browning meat add all peppers, carrots, salt, pepper and chili flakes to your onion pot. Add meat to pot with onions and peppers. Now add tomato juice, salsa, Muirs Glen whole tomatoes diced with juice, water, tomato paste, kidney beans, and bay leafs. bring to a boil, then turn down to a simmer. Simmer for 45 minutes. Put in a boil, add cheddar cheese, maybe and dollop of sour cream with a slice of toasted bread. Over the winter I developed some eating habits I didn’t like. I was eating out way too much, not getting enough vegetables and drinking more than was necessary. My cravings for sugar were starting to become absurd.